Despite just being elected a state representative, Anne Stava-Murray already has her eyes set on the U.S. Senate. That may be a good thing as the state House may not be the friendliest place for the west suburban Democrat. Stava-Murray, you see, was the lone House Democrat not to give Michael Madigan of Chicago the nod for re-election as speaker. The state representative, making good on a campaign promise, voted “present” when the tally for House speaker was taken between Madigan and House Republican Leader Jim Durkin. “The lone dissenting voice of dissent shows the overwhelming and unique power that Mike Madigan is able to amass as speaker of the House and chairman of the Illinois Democratic Party,” said Austin Berg, content director for the Illinois Policy Institute, an organization generating public policy solutions aimed at promoting personal freedom and prosperity in Illinois. 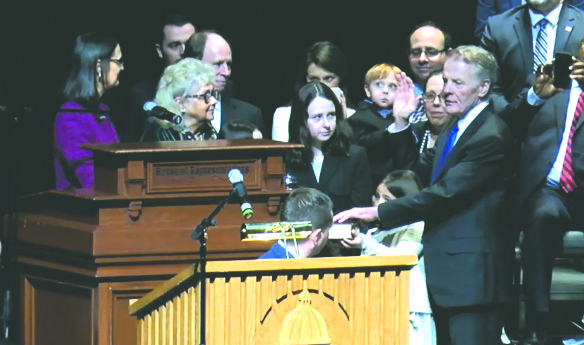 A Democratic super-majority in the House put Madigan back in the speaker’s chair as the 101st General Assembly began Jan. 9. 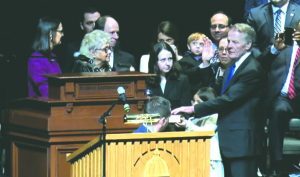 During his 34-year reign as the longest-serving state House speaker in U.S. history, Madigan has become the most powerful state legislative leader in the nation. The current state House rules grant Madigan overwhelming power, allowing him to control who votes in committees, who is assigned committee chair positions that include stipends, and dictate which bills are called for a vote and ultimately become law. A vote on the rules governing this session of the General Assembly will take place Jan. 29, but is likely to do little to throttle Madigan’s power over the next two years. 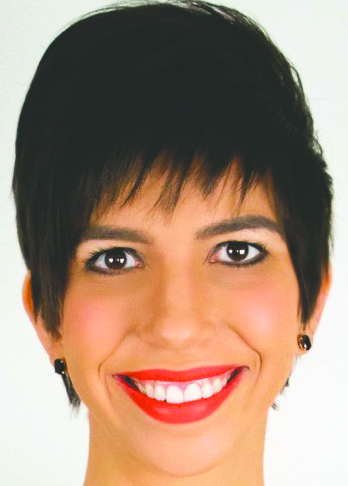 Stava-Murray, a Democrat from Naperville, voted “present” when her time came during the roll-call vote on who should lead the chamber for the next two years. 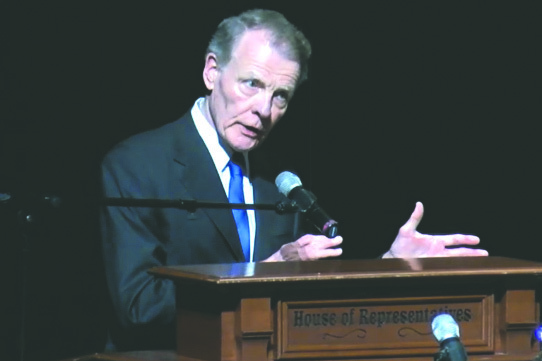 It marked the first time a freshman lawmaker — and only the third time overall in 34 years — that a Democratic representative didn’t support Madigan’s ascent to leadership of the body. She has already announced her intention to run for the U.S. Senate in 2020. Representing the 81st District, which includes all or part of Bolingbrook, Darien, Downers Grove, Lisle, Naperville, Westmont and Woodridge, Stava-Murray said during the campaign that she would not support Madigan for speaker and followed through on that during the Jan. 9 vote. The other two House Democrats not to give Madigan their support for speaker were the late former state Rep. Richard Mautino of Spring Valley in 1987 and state Rep. Scott Drury of Highwood in 2017. After his 1987 vote, Mautino was deprived of a vice chairmanship on a House committee. Two years later, he voted for Madigan as speaker and was made chairman of the House Insurance Committee. Drury lost his vice chairmanship position on a House committee after his 2017 vote. By that point, Drury likely knew he was not returning, already having an eye on running for governor or attorney general in 2018. (He chose attorney general). 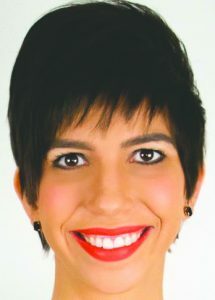 Whether Stava-Murray sees her legislation bottled up in committee or gets a fair shake in the Democratic-controlled House remains to be seen. With more of a spotlight on Madigan these days, he may not want to give the appearance of treating her badly. Madigan is always looking at the next looming election so keeping the 81st District seat in Democratic hands may give Stava-Murray some leeway. Illinois Policy’s Berg said it is too early to say what impact Stava-Murray’s speaker vote may have on her legislative abilities. “It’s tough to say. There is a lot of attention on the speaker now, which is kind of a new phenomenon,” Berg said. Stava-Murray said the backing she has gotten so far both inside and outside her district for her stance against Madigan has been reassuring. While the vote for speaker puts Madigan back in charge, the rules vote coming Jan. 29 is where he will get his true power, Berg said. 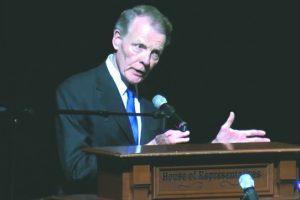 Unless a drastic shift happens between now and the rules vote, Madigan will have the power to assign all the committee chair positions — each nets a $10,000 stipend — who votes in committees, dictates the legislative calendar and, most importantly, appoints the Rules Committee chairman, who determines what bills are called to the House floor. Madigan said he is excited a new governor will be leading the state. The speaker for more than three decades said there is a budget imbalance and too high of a debt hanging over the state’s finances. He said people have talked with him about closing the book on the Bruce Rauner administration and starting fresh with the J.B. Pritzker administration. State Rep. Emanuel “Chris” Welch (D-Westchester) put Madigan’s name into nomination for speaker. “Watching Mike Madigan work these past four years has been a real case study in true leadership,” Welch said. “Illinois suffered greatly the last four years. What we saw was an epic struggle, a struggle that caused our state to go 736 days without a budget. Welch said one of the reasons for Madigan’s success is that he listens to people. “During our darkest days there were several key moments in time when Mike Madigan listened to the rank-and-file members, both Democrats and Republicans,” Welch said. State Rep. Jim Durkin (R-Burr Ridge) gave his third acceptance speech after his being named Republican House leader. He said he was ready to work with his Democratic colleagues to move the state forward. Durkin also said he was hopeful that lawmakers would focus on helping people and not getting reelected. “I am optimistic that for once in many, many years, we can put politics aside and now work toward the greater good of our constituents and their future,” he said. Durkin said he and fellow Republicans would work for many things, including a more progressive tax system and more fair legislative maps. With maps to be redrawn this General Assembly, Durkin’s call for “nonpartisan fair maps” brought a standing ovation from his Republican peers. Pritzker has vowed to not sign off on maps that are drawn for political purposes. Durkin also gave his Democratic peers some advice.